Daughter of the war god Ares, Kyra had been born into darkness--a darkness she'd vowed to annihilate. Just as she'd destroy the notorious Greek arms dealer Marco Kaisiris for feeding the bloodlust she despised. She'd use her nymph's carnal powers to seduce him, then slay him. But Kyra wasn't prepared for Marco's secret weapon. For millennia Kyra had avoided mortal men, but she couldn't resist Marco's magnetism, his raw sexuality. Time and again his sculpted body took her to heights to which only the gods soared. 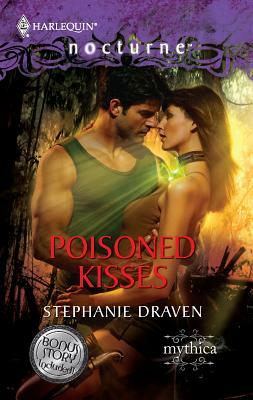 That he was a shape-shifting hydra she could forgive, but not his one fatal flaw--his poisoned blood could kill her. Kyra had fallen for the only being who could destroy her.... Yet how could she spend eternity without him?